Spring into action with our FREE Springtime car & tire maintenance inspection. Drive safe by calling Independent Motors at (303) 449-8949 to book an appointment. Those in the know call Independent Motors the car repair shop with a conscience. And we’re proud to do our part of caring for the community and the environment. We opened our doors in 1983. 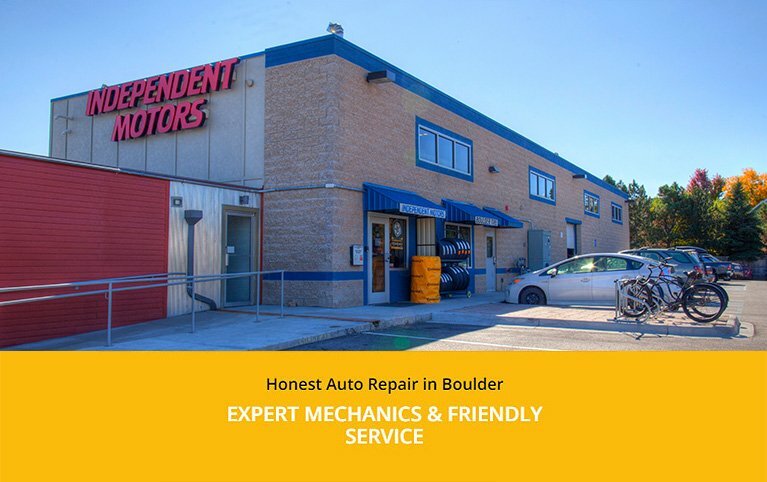 The goal was to fill the need for an auto repair facility more in line with Boulder’s core values: Community, Trust and the Environment. These are also the cornerstones of our business. These same values are what have sustained us for over 35 years. 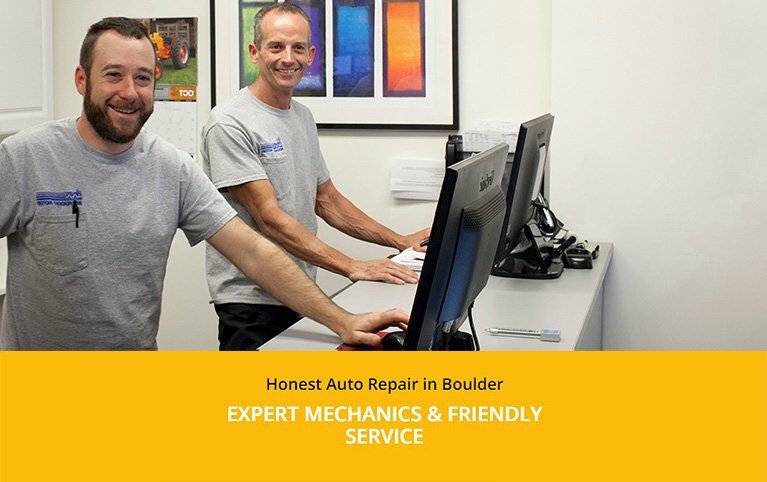 To this day, families and residents of Boulder continue to trust us with their automobile repairs and maintenance. To some, we’re a family tradition. For that, we’re grateful to the community and our customers. And referrals! We treat our customers the way that we want to be treated…fair and honest. Skilled mechanics and master technicians have years of experience under their belts. They have access to the best in clean and eco-friendly auto repair technology and bring that experience to each and every automobile repair. Running a green auto service business is one of our top goals here at Independent Motors. In fact, we are one of the first local businesses to join Partners for a Clean Environment (PACE) since it began back in 1993. Moreover, we’re one of the first businesses in Boulder, Colorado, to invest in clean and renewable energy, enrolling in the Xcel Energy Windsource for Business Program in the 1990’s. Building a state-of-the-art auto repair facility with eco-friendly best practices has paid off. As a result, we are one of only three local businesses to have earned triple PACE Certifications. I’m Bill Bender, Owner of Independent Motors. I personally invite you to visit us and schedule an appointment by calling (303) 449-8949. You’ll be glad you did! And so will the environment. Is your Engine Check Light on or flashing? Don’t panic. We’ll find the answer. Book an appointment with us for a Free Check Engine Light Scan. It is our goal that your vehicle is safe, clean and in excellent working condition when you leave our auto repair shop. Guaranteed 12 Month / 12,000 Mile Parts & Labor Warranty. 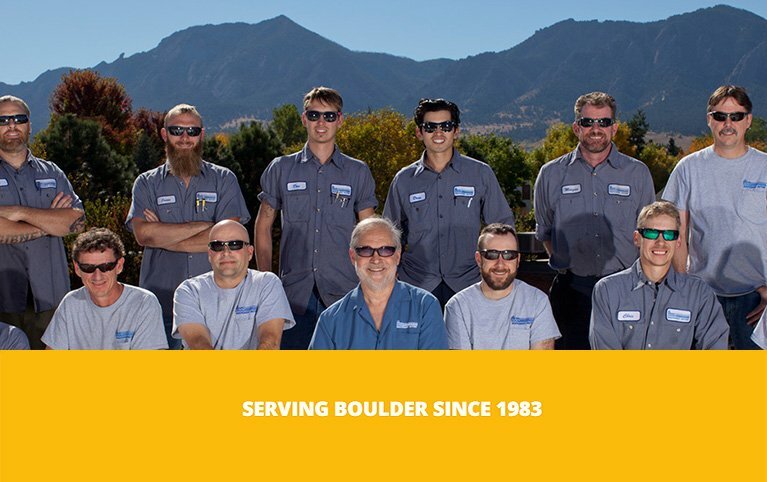 Repairing automobiles in Boulder, CO for over 30 years and still going strong. Vehicle maintenance for domestic, German and Asian automobiles. Our sister company, Boulder Tire, sells a full range of quality tires. These include passenger, performance, light truck, and commercial tires. Oil changes that include additional inspections with each and every oil change we do. Ride our morning shuttle anywhere in Boulder. Schedule a loaner car or bike when you make your appointment. We can repair your car, truck or SUV. Our specialties are Subaru, Toyota, Nissan, Jeep, Lexus and Honda.